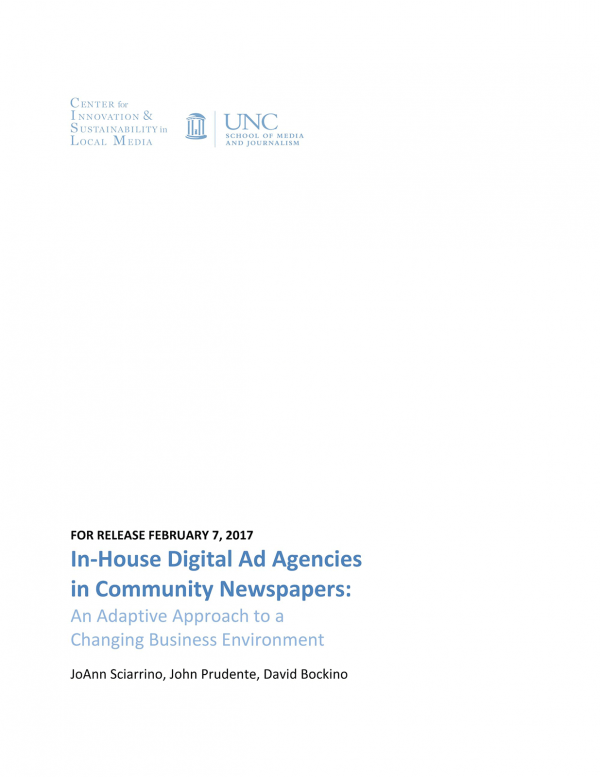 What is the future of newspaper advertising departments in small, low-growth communities? Can the print sales reps at these newspapers become digital advertising experts? JoAnn Sciarrino, Knight Chair in Digital Advertising and Marketing at the University of North Carolina, explores these questions in a case study on The Whiteville News Reporter, a Pulitzer-Prize-Winning, twice-weekly paper with a print circulation of 10,000. The paper, which serves one of the poorest counties in North Carolina, was an early pioneer in the digital space, establishing a robust website and social media presence that connects with thousands of loyal users on a daily basis. But, like most other papers, it has struggled to increase digital advertising revenue to compensate for the loss of print advertising revenue.